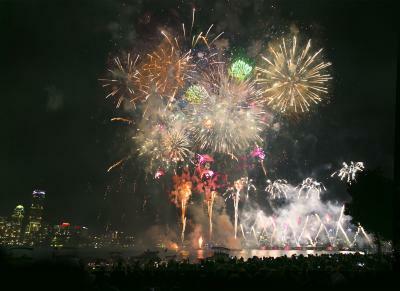 This New Year, visit Boston and experience all the excitement of First Night and First Day. Events are free and open to the public. The celebration kicks off at Noon on December 31st with live performances in Copley Square, the Prudential Center and Copley Place. In the afternoon and evening, the ice sculptures light up and a large procession makes its way to Boston Common for the first fireworks show. Live music performances rock the hours until midnight when the countdown begins. 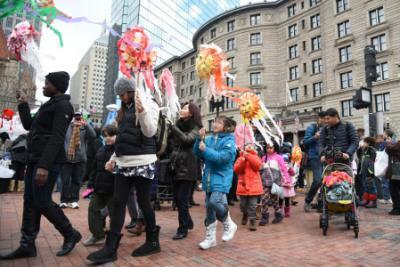 First Day, January 1st will be celebrated on Copley Square from Noon to 4pm with activities for families and children. Please be advised of road closures and parking bans. For complete details and schedule of events, please visit Firstnightboston.org. 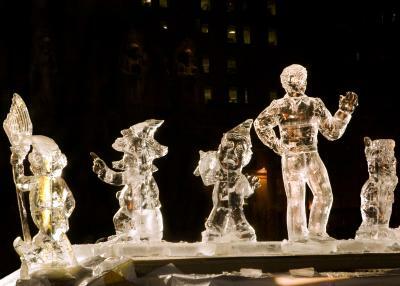 Come out and see the Ice Sculpture Gallery on Copley Square and throughout the Back Bay, with one signature sculpture at the Boston Common Frog Pond. The annual People&apos;s Parade - complete with drumlines, giant puppets, dancers and a Chinese Dragon - takes place from Copley Square to the Boston Common starting at 6:00pm. Boston’s Family Fireworks sponsored by The Mugar Foundation will take place on the Boston Common at 7:00 PM on December 31st. You may also ring in the New Year with the Countdown on Copley featuring an amazing pyrotechnics show launched from the roof of the Fairmont Copley Plaza Hotel.